Upcoming new Tollywood Bengali film Chaplin movie story review castings director producer actors actresses Chaplin release dates book buy tickets online Bengali Chaplin Rudranil. Photos pictures wallpapers download mp3 songs Chaplin Rudranil. New Bengali movie reviews plot shooting location cinema halls showing Chaplin kolkata hooghly howrah Bengal show timings upcoming hit Bengali cinema Chaplin details information. • Chaplin Bengali movie Director: Anindo Banerjee. • Chaplin Bengali movie Producer: Orion Entertainment. • Chaplin Bengali movie Story writer: Padmanava Dasgupta. • Chaplin Bengali movie Music Director: Indradeep Dasgupta. • Mp3 Songs of Bengali film Chaplin was sang by singers like Shaan, Rupam Islam, Kaushiki Desikan. • Chaplin Bengali movie Lyricist: Srijato. • Chaplin Bengali film Casts Actors Actresses: Rudranil Ghosh, Srijit Mukherjee, Mir, Arijit Dutta, Rachita, Master Soham and others. • Chaplin Bengali movie Release Date: 12th August 2011. 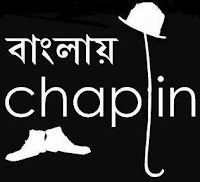 • Chaplin Bengali movie Story Review: Rudranil Ghosh’s Chaplin isn’t the remake of original Charlie Chaplin Comedy films, the story of Bengali Film Chaplin shows how a father works honestly for his son. Bangsi (played by Rudranil Ghosh) and his son (played by master Soham) are the main characters of Chaplin Bengali Cinema. Bangsi (Rudranil) is a small artist who plays the role of Charlie Chaplin in the parties to entertain people and to earn some money to run his family. The twist and turns of Bangsi & his son’s life and how Bangsi reacts, the film is all about that. • Shooting Location Spot of Chaplin Bengali Cinema: Mostly in Kolkata, Howrah and West Bengal. Tollywood film Chaplin of Rudranil & Others., upcoming new Bengali movie, seems to be worth watching in Cinema Halls; so start buy tickets online of Chaplin from www.bookmyshow.com website.